For the past couple of years, I have been really trying to narrow down what organization system works best. Is it strictly paper or does having it all on my phone better? I can't even explain the number of times I have spent when switching systems. With me having many things a day to do, it's crucial that I have a good system to do so. But back in April, I watched a YouTube video about a person's organizational system involving both paper and online. I tried it out, figured it completely didn't work for me but I liked the general idea. So I then revised it to work with what I need and voila! A system that works perfectly and definitely helps my productivity from day to day! I put my general appointments and meetings as regular events in the online calendar, but my main thing is adding all day events as reminders. I have a separate coding system color just for reminders, and this helps organize all of them together. I put anything from planning something out to calling someone as a reminder. This allows me to braindump in a way but also keeps it organized on when I can do the task. One word for this app... Amazing. I would recommend to anyone this app when taking down notes or even lists, especially considering you can use it on your iPad, Computer, and phone! I personally use it for anything and everything. As for keeping it up with my organization, it does the most of it. On every Sunday, I create a new Evernote tab and list out the days of the week. I then go onto my iCal and write down every reminder that I have on my calendar to the note. I then prioritize what I have for each day and may or may not add on to what I need to do. And that's how I make my to-do list for the day! I think before I had this system, I was the most organized with my Day Designer. I loved it to death but I hated lugging it around and not being able to take it out at any moment and write down quickly. As for this new system of mine, I still love incorporating it with my online. What I do is after the Evernote process, I only write down what I have for that week into my planner. I do event alone with the tasks. 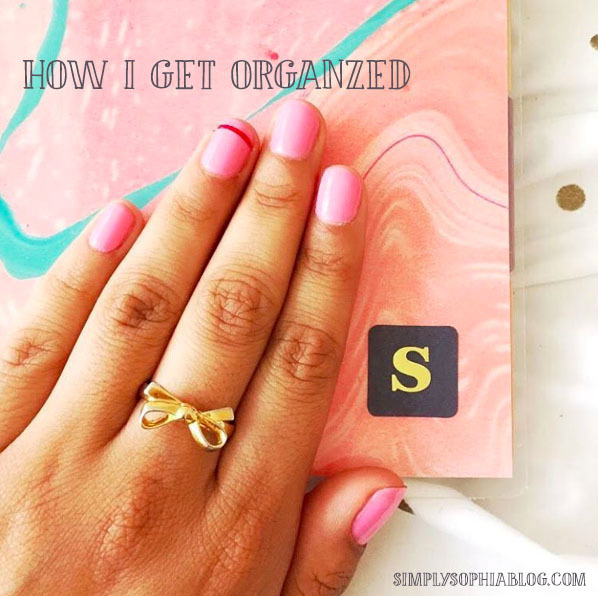 This then helps me prioritize what my top to-dos are and how much time I have to complete them. I would love to know what your tips are! Let me know in the comments! We use google calendar for our family appointments. If my husband has an appointment for a haircut or travel for work he will add it to our family calendar. We recently just added our daughter (middle school) to it so she can add afterschool events. I also operate from planner for work and google calendars for any appointments that don't effect the family. I've never used Evernote, so I'm going to check this out.